The Princeton Easy Up Lift Chair is a 3 position lift chair that is full of features that will provide outstanding functionality and performance for many years to come. 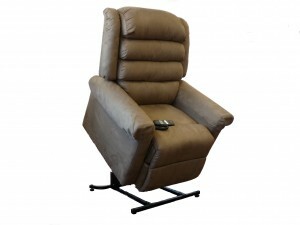 Features a removeable backrest cushion that has zips so you can adjust the padding levels to best suit the needs of the user. The Princeton will ensure you never have to struggle to get out of the seat again. Available in a large range of luxury micro fibre fashion colours.